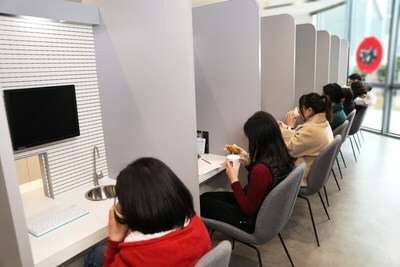 Yum China Opens Innovation Center in Shanghai | Yum China Holdings, Inc.
SHANGHAI, March 5, 2019 /PRNewswire/ -- Yum China Holdings, Inc. (the "Company" or "Yum China") (NYSE: YUMC) has opened an Innovation Center in downtown Shanghai, marking an exciting milestone as the Company continues to enhance the customer journey through innovation. "In a fast paced and dynamic industry, innovation is key and central to everything we do. We have been in China for over 30 years and have continued to evolve and grow with new generations of customers thanks to our relentless focus on innovation and staying close to changing customer preferences," said Joey Wat, Chief Executive Officer of Yum China. 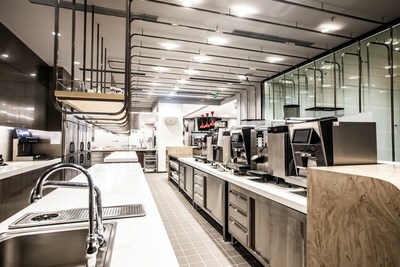 "The establishment of the Innovation Center is testament to our commitment and vision to become the world's most innovative pioneer in the restaurant industry. Through creating an integrated hub, we look forward to continuing to explore innovative ways to drive growth, deliver value, and enhance every aspect of the customer experience." Covering an area of 27,000 square feet, the Innovation Center is an integrated research and development facility that has been designed to generate new ideas and concepts and enable the rapid roll out of localized and innovative products. 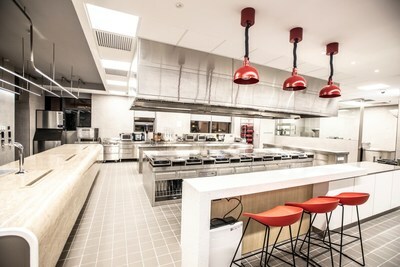 The Center features state of the art facilities including a test kitchen, a sensory test area, as well as a suite of labs covering quality assurance, equipment and restaurant technology testing, packaging innovation, new store model prototypes, and content production. Anchored by strong principles focused on being safe, convenient, shareable, scalable and environmentally friendly, the new Innovation Center is a space to engage, connect, and collaborate to create products and solutions that are at the forefront of industry trends. From KFC'sOkinawa sea-salt ice-cream to Pizza Hut'sdurian pizza, Yum China launches more than 300 new and upgraded products on average every year across all of its brands. Each product needs to go through extensive rounds of testing and adjustments before it makes the menu. The Innovation Center will allow core functions across Yum China and its brands, partners and industry experts to work together closely and effectively to enhance the customer journey. This press release contains "forward-looking statements" within the meaning of Section 27A of the Securities Act of 1933 and Section 21E of the Securities Exchange Act of 1934. Forward-looking statements generally can be identified by the fact that they do not relate strictly to historical or current facts and by the use of forward-looking words such as "expect," "expectation," "believe," "anticipate," "may," "could," "intend," "belief," "plan," "estimate," "target," "predict," "likely," "will," "should," "forecast," "outlook", "look forward to" or similar terminology. These statements are based on current estimates and assumptions made by us in light of our experience and perception of historical trends, current conditions and expected future developments, as well as other factors that we believe are appropriate and reasonable under the circumstances, but there can be no assurance that such estimates and assumptions will prove to be correct. Forward-looking statements are not guarantees of performance and are inherently subject to known and unknown risks and uncertainties that are difficult to predict and could cause our actual results to differ materially from those indicated by those statements. We cannot assure you that any of our expectations, estimates or assumptions will be achieved. The forward-looking statements included in this press release are only made as of the date of this press release, and we disclaim any obligation to publicly update any forward-looking statement to reflect subsequent events or circumstances, except as required by law. All forward-looking statements should be evaluated with the understanding of their inherent uncertainty. You should consult our filings with the Securities and Exchange Commission (including the information set forth under the captions "Risk Factors" and "Forward-Looking Statements" in our Annual Report on Form 10-K) for additional detail about factors that could affect our financial and other results. Yum China Holdings, Inc. is a licensee of Yum! Brands in mainland China. It has exclusive rights in mainland China to KFC, China's leading quick-service restaurant brand, Pizza Hut, the leading casual dining restaurant brand in China, and Taco Bell, a California-based restaurant chain serving innovative Mexican-inspired food. Yum China also owns the Little Sheep, East Dawning and COFFii & JOY concepts outright. The Company had more than 8,400 restaurants in over 1,200 cities at the end of December 2018. For more information, please visit http://www.yumchina.com/en/. SOURCE Yum China Holdings, Inc.